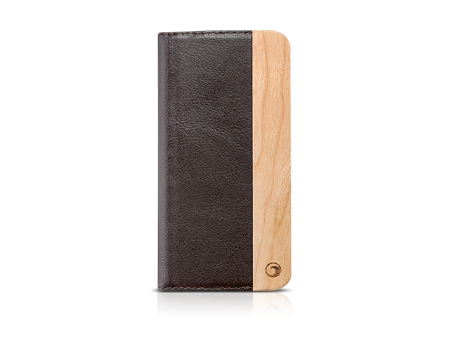 Made with an elegant blend of genuine leather and cherry wood, the Marware Wood Folio Case for iPhone 5 can serve as both a wallet and a phone case. Sophistication means never settling for anything but the best. The Marware Milan wraps your iPhone 5 in luxury with an elegant blend of genuine leather and maple wood. A built-in wallet adds functional versatility without sacrificing fashion. With the sophisticated Marware Milan, you’ll never have to settle again. It’s more than a case.